Would you like to spend the winter in luxury in a pleasant climate? In one of our luxury holiday villas on the Costa Blanca you can relax during the winter. Spain is the perfect destination to escape the cold winters in the Netherlands, Belgium, Great Britain etc. 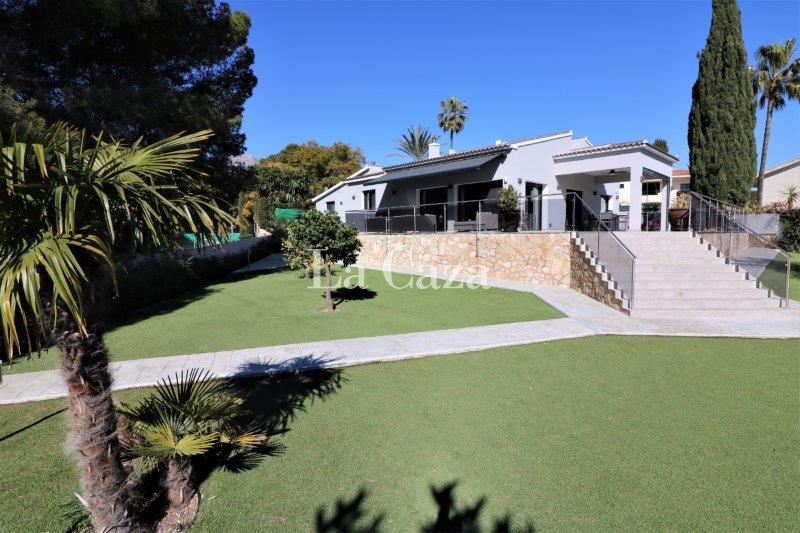 With La Caza you can rent the whole year round exclusive holiday villas on the Costa Blanca. Quality and exclusivity are the characteristics of the offer of holiday homes with La Caza. Our properties are carefully selected; only the best and the most exclusive villa’s on the best locations can be found in our offer. You can read the detailed description of each accommodation and look at the pictures. All the information is written by our team and the pictures are also made by us. Therefor, you can be sure that the villa where you will spend the winter is really how it looks like on the pictures. You can directly search for your ideal holiday home where you would like to spend the winter in Spain. You will find the accommodations by clicking on holiday homes or through the search function. Through the search function you will see immediately which villa or apartment is available in a certain period. You can also limit the offer to one of the towns on the Costa Blanca. Subsequently, you can reserve your villa quick and easy. If you have any questions about spending the winter in Spain at La Caza, please feel free to contact us.